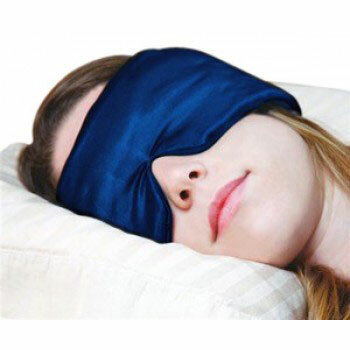 Sleep masks are used at home, in a hotel, or while travelling as a passenger in a car, train, or airplane to block out either natural light (sunlight) or artificial light. Night shifters use them to sleep during the day and patients in hospitals use them to block out light emitting from the hallway. Others use them simply to relax or meditate or block the light when their partner is reading in bed. A 2010 study published in the journal Critical Care examined the impact sleep masks had on ICU patients who often had difficulty sleeping because of the bright lights and constant noise within the units. The study explored whether or not sleep masks (and earplugs) would offer any benefit. The results were quite impressive. Not only did the sleep masks improve the amount of sleep patients received, but they also increased nocturnal melatonin levels that the body was unable to produce underneath the glaring lights. Clearly, there are many beneficial uses for sleep masks. But how do you decide which is right for you? What Should You Look for in a Sleep Mask? Sleep masks are available in a wide variety of colours, textures, designs, and styles. Here are some considerations to think about when deciding to purchase a sleep mask. Adjustable head straps are important in sleep masks. The mask should fit snugly enough to remain over your eyes while sleeping and block out light, but not so snugly that it cuts off circulation. Make sure you look for masks that offer the flexible comfort of straps you can adjust as needed to fit your head. 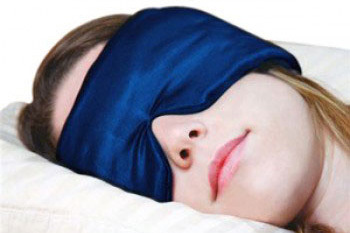 Because contoured sleep masks don’t press on the eyes, they allow you to open and close your eyes freely. In addition, the contoured design helps to prevent eye makeup from smudging. People who slept in the ICU, for instance, benefitted from a sleep mask with earplugs in order to block both the light and the sound. If noises are a problem for you, then ear plugs/sleep mask combination might be right for you. Next, the fabric of the sleep mask is another consideration. Those with allergies may need one made out of hypoallergenic materials, while others may prefer a mask made out of silk. Either way, many people prefer their sleep mask to be lightweight and breathable. Don’t forget to consider whether or not herbal eye masks or sinus masks might be the perfect choice for you – especially if you suffer from sinus problems or allergies. Lastly, look for sleep masks that are reusable and washable. When it comes to sleep solutions, a sleep mask has many benefits to offer consumers. Now that you know what to look for, it will be easy to choose your ideal sleep mask. It is having a lot of resources to sleep solutions with right facts. That all happen with professional paper writing service assignments and resources for all of them. So, I prefer to catch different essays and online book reports.